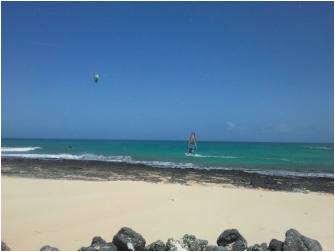 windsurf or surf holidays and special weeks. Fill out the form and we will contact you as soon as possible to start your booking and inform you on your possibilities :). The simple packages include; Accommodation (based on shared room), daily yoga, windsurf OR surf lessons (incl. all material, instruction, transport). You can add any activity or service the way you prefer and enjoy your holiday as you like it best! We hope to see you soon on the water. How many days do you want to stay? If you book a special week they mostly have a pre-set duration. For our windsurfcamps you decide yourself! It's good to know your level so we can make the best plan for your windsurf classes. If you have questions on the levels, don't hesitate and ask us! We love being active on the water and around, 2 days a week we have a day off to relax our body's and see more of the beautiful locations! If you want to try something else and you want to make sure there is space and material for you, let us no in advance. Its mostly still possible to arrange it on the spot, sometimes it's better to be safe than sorry;) We don't include Breakfast and Dinner to keep prices low, if you want to have this service, just let us know and we daily prepare your fresh healthy meal! Anything else you want to add before reserving a space in the camp?! If you like to book for more than 1 person please state here the details of the others.